their use. 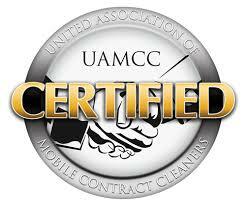 For best results, gutters should be cleaned and inspected every season of the year! Maintaining clean gutters helps keep your home looking its best and building value. Did you know the outside of your gutters can be cleaned as well? look back to your gutters. Inside and out. 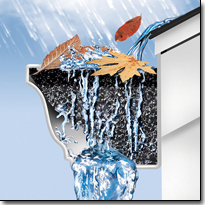 Have your gutters protected from leaves and debris. 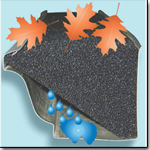 Q: How does GutterStuff® perform in freezing weather? spout from clogging, there is never any surplus water left in the gutter, thus no freezing. Q: Does water in the gutter run over during heavy rainfall? A: No. The filter is non-absorbent so it allows large volumes of water to flow right through. Q: Does GutterStuff® need to be cleaned? A: Yes. It does require some light maintenance. Every 6 months it is recommended to use a leaf blower or garden hose to clear stubborn debris caught in the foam filter. Q: How do you install GutterStuff® around the gutter spikes? A: It simply slides underneath the gutter spikes. Q: Do birds, squirrels, insects, or other small animals harm the foam? Q: Do UV rays or heat from sunlight harm the foam? Q: Can strong wind blow GutterStuff® out of the gutter? A: No. It is secure because it fits snugly in the gutter and under the spikes. Q: How long has GutterStuff® been on the market? 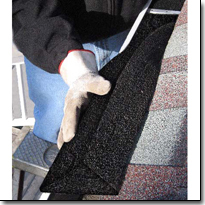 A: GutterStuff® was first marketed in the first quarter of 2003. Q: Does GutterStuff® come with a warranty? A: GutterStuff® Original carries a 5 year performance warranty!